So its a done deal. He’s gone. Wayne Rooney is now no longer a Manchester United player. Thank you Wayne. Wayne himself has thanked the club and fans – via Instagram. 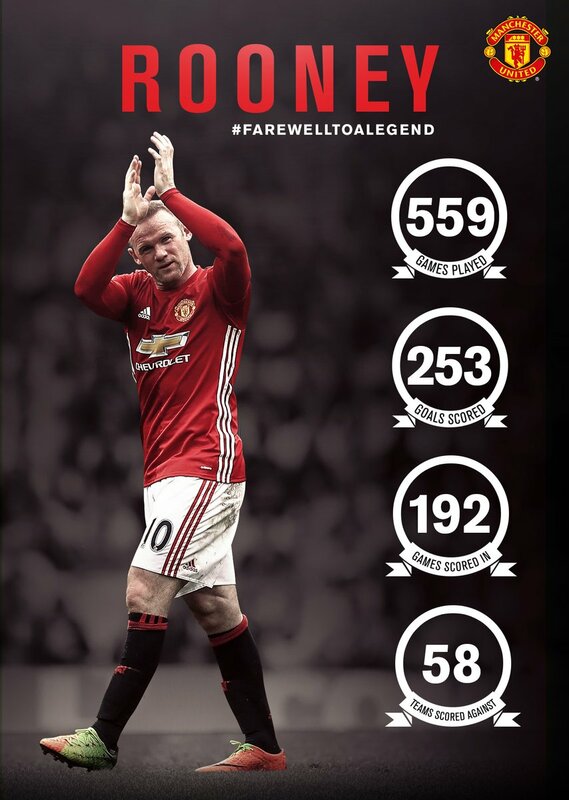 He was at United for 13 years and became United’s all time record goalscorer. I still remember his debut which was a European game v Fenerbahce when he scored a hat-trick. He was still a raw talent but the same one not that long ago scored THAT goal for Everton v Arsenal which put him on the map. Rooney may not have 100% connected with the fans. Partly because of the apparent threats to leave the club a couple times. Whether that is true or not, who knows. Depends who you believe. But there is no doubt that he has done some amazing things for the club, scored some amazing goals (stand outs including that volley v Newcastle and the overhead kick (shin) v City), some world class performances. And of courses scored a ton of goals. Around the year 2010 for 2-3 years he was up there with the very best in the world. It was the seasons 2009-10 and 2010-11 where he scored 30 goals+ which were probably his best. You could argue he’s been in decline for last 2-3 years. You sometimes forget that he is only 31 so not that old but he’s basically been playing non stop since he was 16 years old. Burnt out? Also, one thing against him is that many feel he didn’t/hasn’t fulfilled his potential. On his day, he was incredible but you could argue he didn’t take it to the next level. There were comparisons to Ronaldo who is similar age and at United same time for few years – when they played in the same team it was often brilliant. But Ronaldo has taken it on a different level – through talent but also hard-work. Maybe I am being a bit tough on Rooney though as Ronaldo is a bit of a freak with the number of goals he’s scored. We are lucky to be living in a time where you we watch Ronaldo and Messi play and they will go down as up there with the best ever. Maybe the 2 best ever. But at the end of the day, Rooney has done loads for us (United). Helped us win loads of trophies – he has won everything he could with United. So thanks Wazza. 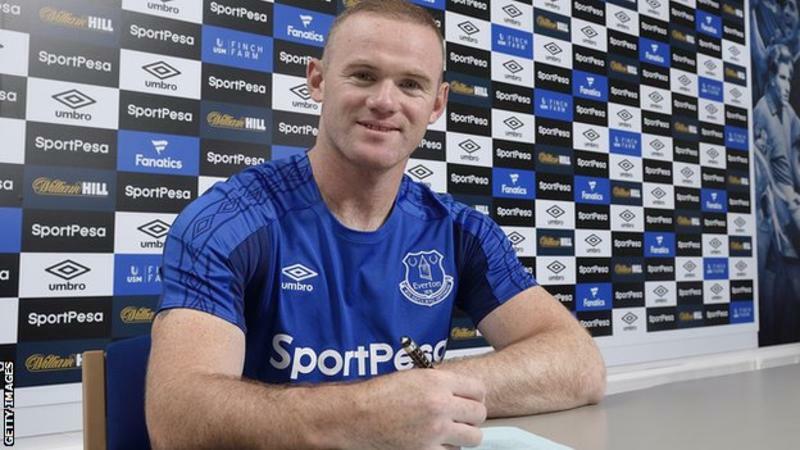 I personally think that he will well at Everton but it was time for him to move on from United as his performances/form had declined last 2-3 years. He didn’t have too many opportunities recently but when he did, his form was not good. But he is now back “home” so to speak. He will likely play more regularly. Maybe a change will kick start his career again and he will hit some form. Personally I think he could easily score about 15 goals in league – and if I was a betting man, would bet he scores against us!